THANKS!! to everyone who attended the 2018 Kandiyohi County Fair!! We hope you had a great time and created fun Fair memories!! A special "Thank YOU" to all of those involved in the Fair. 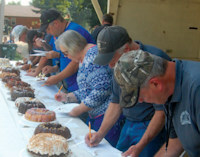 It takes so many wonderful people in many different areas to hold a County Fair. Without all of YOU we would not be able to offer a place for family traditions, youth education, entertainment and for the community to showcase the awesome County of Kandiyohi!! Are you looking for a way to be involved in a Family Tradition? Need something fun to do the second week of August? Love the Fair and want to get involved? Kandiyohi County Fair is a proud recipient of a 2019 Grant from the MN Dept. of Agriculture. 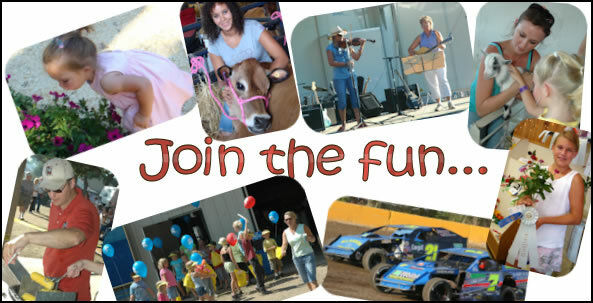 Each year thereafter you will be a part of the Kandiyohi County Fair Association to help build a better fair. Attend the Annual Association Meeting each November and your $100 membership enables you to one vote. The membership fee goes into the Association Capital Account to maintain, build and enhance the buildings on the Kandiyohi County Fairgrounds.